Kris, a single adult, has over 25 years leading single adult ministry. 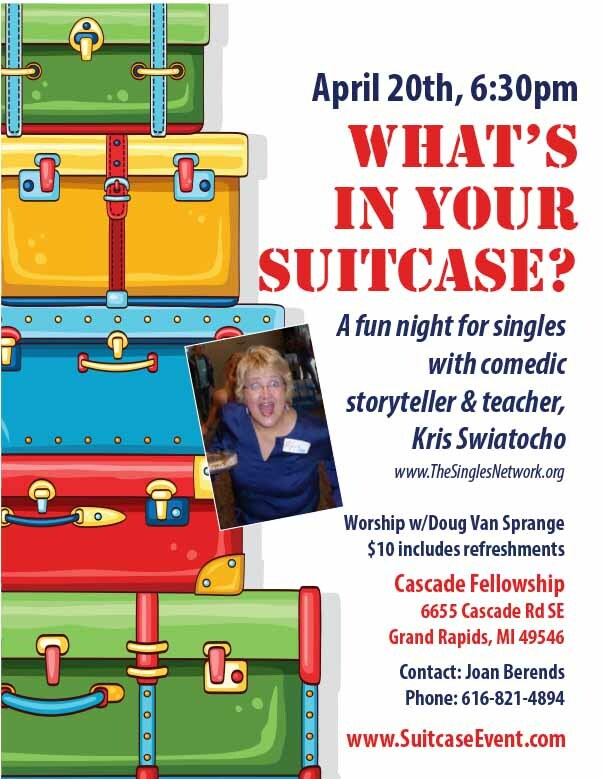 Kris has traveled the world sharing what it is to be single, the truths and the untruths while helping churches start and grow their single adult ministry. But with Kris, traveling doesn't always come without it's hilarious obstacles including crazy airports, hotel, taxi and excursions adventures. Join us on April 20th and bring your friends!